Dr. Salamé is completely committed to Maplewood Dental's mission to improve your oral health and overall well-being through the delivery of dental care in a caring and comfortable environment. 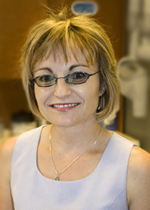 After growing up in St. Catharines, Dr. Salamé earned his doctorate from the University of Manitoba before returning home to practice. Dr. Salamé is committed to promoting charitable events and sponsoring local soccer and robotics teams. When not at the practice, Dr. Salamé enjoys photography and editing, yoga, playing racket-ball and spending time with his sons. Along with his skilled, experienced, and compassionate team, Dr. Salamé invites you to join our practice to receive dental care with exceptional service and value. Call today! I’d like to welcome you to Maplewood Dental.ca! I’m Joanna, a Certified Preventive Dental Assistant. 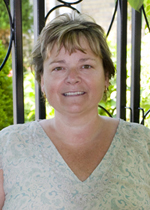 I graduated from Niagara College in 1996 and I’ve enjoyed working at Maplewood Dental since 2001. I take pride in my work and pay extra care and attention to our patients’ needs. Also, by taking vital courses in the dental field, I stay relevant in my profession. Hi there, I’m Faye, your Dental Office Administrator. I joined the team here at Maplewood Dental in 2002. I received my training at Niagara College and I also bring with me several years of experience in management and customer service. I love working with people and enjoy my job here very much. My goal is to make you smile while I take care of your financial forms and schedule your next visit. If you would like to book an appointment or have any questions, please call or email me. Hello! 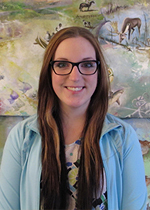 Kimber here, a Registered Dental Hygienist with Dr. Salamé. I graduated from the Dental Hygiene Program with the Canadian Armed Forces in 1992. Prior to this, I was a Certified Dental Assistant for 9 years. I have enjoyed working here since 1998. Our goal in the hygiene department is to educate you on your oral health. We will tailor a program that is just right for you. Looking forward to seeing you at your next visit. 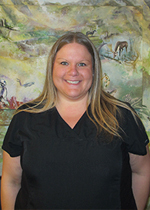 Hi, I'm Dana and I joined Maplewood Dental in 2009. 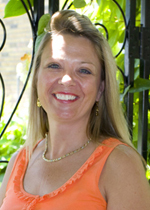 I am a Registered Dental Hygienist, graduating from the Dental Hygiene program at Erie Community College in 1993. Prior to that, I worked as a Dental Assistant for close to 6 years. I am skilled in treating clients will all levels of dental health and with my commitment to continuing education and my years of experience, I am able to provide excellent client specific care. With a caring and friendly manner, I plan on making your dental visit a pleasant one. Hello, My name is Nadia. I graduated in 2002 from the Dental Assisting program at Niagara College and a member of the Ontario Dental Assistants Association. Working as a Dental Assistant is something I truly enjoy, to bring out people's confidence through their smile is something I take pride in. Children really capture my heart, especially those really nervous ones who come in and have that look of doubt in their eyes, but I enjoy making it fun for them, and to see them smiling and laughing at the end of the appointment makes my job more enjoyable each time. 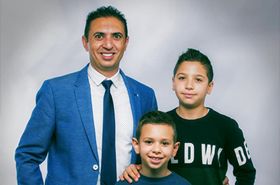 I have been working with Dr. Salamé since 2004 and his dentistry and professionalism has made me love doing what I do. 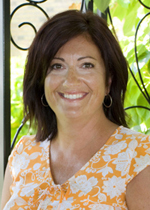 Hi there, I am Angela and I’ve been at Maplewood Dental since 2007. I am a certified Dental Assistant and Hygienist. I graduated from the dental assisting program in 2008 and Dental Hygiene in 2010 from Niagara College. I enjoy all aspects of my job and I am always looking for a way to expand my knowledge to help you with the most up to date evidence-based clinical information.